After the AK went into mass production, Kalashnikov did not stop his work there. As the stamped receiver concept was pretty much still on his mind, he put his work into modernizing the AK. In 1959 the Modernized version of the AK came into being and was accepted into service in the Soviet Red Army as the AKM. The biggest improvement was the decrease of the overall mass of the weapon by 2.2 lb. 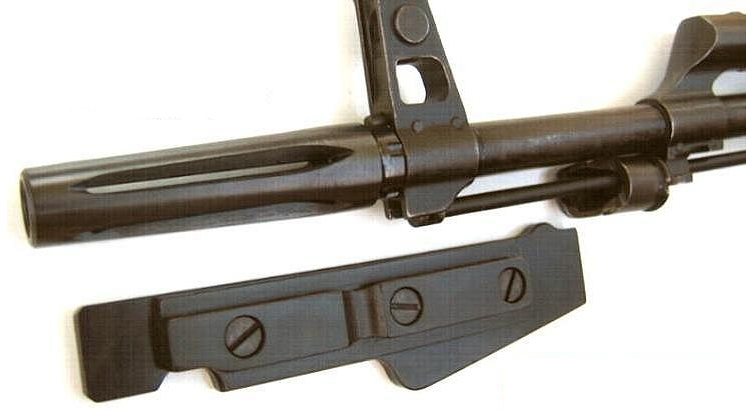 This was achieved by implementing major changes to the construction of the weapon and use of more stamped sheet steel parts instead of milled counterparts found on the AK. The new weapon continued to utilise the 7.62×39 M43 ammunition. 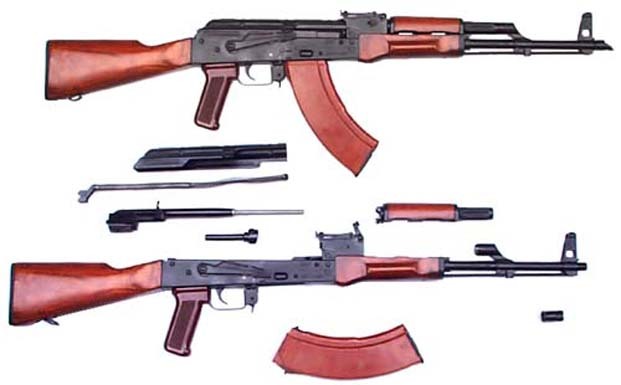 AKM – Standard Assault Rifle, with a fixed wooden stock. AKMS – Standard Assault Rifle, with a under-folding metal stock. AKMN – A variant of the AKM with a dovetail side mount for night optics. AKMSN – A variant of the AKMS with a dovetail side mount for night optics, one of the sides of the under-folding stock was modified not to interfere with the optic mount. And so, I hope this clarifies a bit more for you all. Note in some sources you might also find such contraptions as the fabled AKMSU the commonly known shorty or “Krink” version in 7.62×39. Unlike the guns mentioned above, there were very limited amounts of this weapon produced and it was NEVER officially accepted into service in any Army. The gun that short was just to unreliable when used with a 7.62 round, and never made it into mass production. Though it was a milestone on the road to a true “Suchka” which we will mention in the next Part of Kalashnikov the correct nomenclature.